DIVINE CHRISTIAN GIFTS - Someone Special Glass Bracelet With Charm. Someone Special Glass Bracelet With Charm. 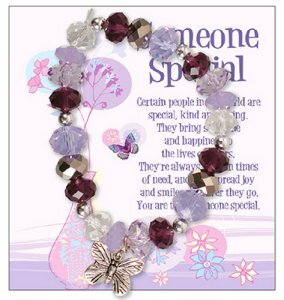 Someone Special elasticated glass bracelet with someone special motif on the card.